How Often Should Coolant Be Flushed? You might have seen cars standing by the side of the road in Singapore with their hoods open and smoke coming out of their engine. Main reason of such incidents is the overheating of the engine mainly caused by the problem created by the coolant in their engines. Main purpose of the coolant is to keep the radiator of the car cool especially while running during summer, by circulating through the engine. It absorbs and transfers the heat of the radiator by passing through the engine block of the car. A problem in the cooling system of your car can damage its engine completely or partially if its coolant in not flushed out during its scheduled regular maintenance. 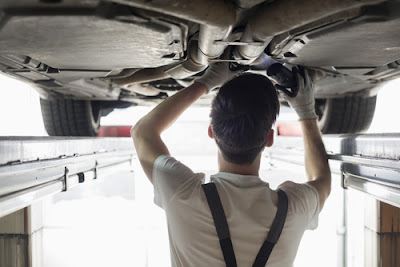 So for this reason most car care professionals recommend to add maintenance of cooling system of the car in the maintenance schedule of your car. Main benefit of removing flushed coolant from a car is to remove the contaminants from its cooling system which can damage its gaskets along with other components. According to various car care experts these corrosive elements can also cause leakage or failure of radiator of the car which can increase the cost of its maintenance and repairs. What is meant by flushed coolant? The flushed coolant can also be defined as serviced cooling system or radiator of a car. In this process a cleaner is added to the cooling system of the car to remove rust and other sediments from it. Then new coolant along with a conditioner is added to its cooling system to protect it from corrosion, when system is thoroughly flushed out. 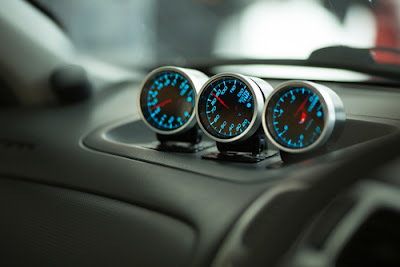 According to the experts this service is necessary to increase the life of the cooling system of the car along with a number of other components including heater cores, radiator, coolant pipes, hoses, gaskets and water pumps. It is sometimes misunderstood with topping off the coolant as in that case harmful contaminants cannot be flushed out while adding new fluid to it. Normally the coolant of all types of cars should be flushed out as per the user manual provided by the car manufacturing company. Some of the companies like Hyundai recommend to change coolant for the first time after 60,000 km and after every 30,000 km thereafter as they do not consider as the part of maintenance of their vehicles. In some models of Mercedes-Benz coolant is recommended to flushed out after 30,000 km whereas in other models after 12 years or 120,000 km or after 15 years or 150,000 km. On the other hand, the manufacturers of some other cars like Chevrolet etc. who take changing of coolant seriously as an important part of the maintenance of their vehicle recommend to flush it out after 150,000 km irrespective of the style of driving the vehicle. But there is much contradiction in this regard as some car care experts recommend to flush it out after every five years or 30,000 km, whatever comes earlier, whereas some recommend it after three years. 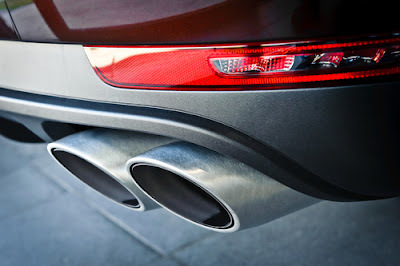 According to them car manufacturers use various types of coolants in the cooling system of their car according to the environment of the country they are to be used in as every country has a different environment. Some countries have more dust and dirt than others so the corrosiveness and dirt in the coolant should be tested regularly by trained technicians before it is flushed out to replace it with the new and clear coolant. 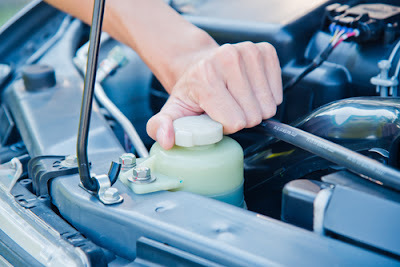 According to some of the car experts the only realistic way to maintain the cooling system of a car is discarding its flushed coolant and changing it with new and clear fluid but regrettably it is rarely done at the proper time and one has to face disastrous implications if he depends only on the temperature gauge of the car on. In fact, according to them, electrolysis in the cooling system of the car encourages a chemical reaction between its metallic surface and the coolant which damages it if not flushed at right time. So for this reason some of the car dealerships and service providers recommend that the coolant should be flushed more frequently than recommended by the car manufacturing companies i.e. after every 30,000 or 50,000 km. The long-life coolants used in most of the cars include a mixture of water and antifreeze in 50:50 ratios to protect the cooling system from freezing in winters and boiling in summers for several years without any change and maintenance. It is because of the pressure imposed by the environment regulators as the flushed coolant has to be recycled or disposed of very carefully to save the environment. It is difficult to judge the consistency of the coolant just by its looks so it should be tested carefully before flushed out as it can deteriorate with time. It can lose the properties of inhibiting rust or corrosion and become acidic with time even if it shows perfect to protect the cooling system in the test. The coolant should be tested periodically after it has been used for over 50,000 km as the corrosion caused by it can damage various parts of the cooling system including water pump, radiator and thermostat etc, if not flushed at proper time. During these tests it should be ensured that whether it can sufficiently protect the cooling system from boiling or freezing in extreme weather conditions or not. Its freezing and boiling protection efficiency can be checked with the help of a hydrometer and its acidity can be measured with the help of test strips. The coolant should be flushed immediately if its power to inhibit corrosion has been deteriorated. The contaminants should be removed for from the cooling system of the car, regardless of how many kilometres it has been driven and even if it is not included in its maintenance schedule of the car. But you can go on using the old coolant if the test shows that it can protect the cooling system from corrosion as it can be waste of money if flushed in such condition. When Do You Need to Replace Your Vehicle Brakes? The most common sign that you need to replace your car’s brakes is an abnormal high pitched sound made when the vehicle comes to a stop. Brakes are manufactured using s tiny piece of metal known as an indicator found on the brake pads. If this material wears down to a point where what is left is less than a quarter an inch, the material piece comes into contact with your car’s rotor, creating a scenario similar to finger nails on the chalkboard. This is a sign that you should have your brakes replaced in less than a month. 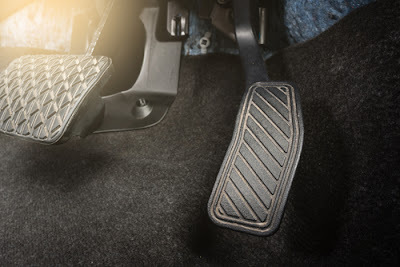 When you hear a growling or grinding sound when you press the brake pedals, this is not good news, your car’s brake pads aren’t the only part that should be replaced. Normally what causes the growling or the grinding sound is the brake caliper and the brake disc rubbing together, this is as a result of completely wearing out of the brake pad. It’s now necessary that you have the break discs (metal rotors) replaced or have them serviced by a mechanic. Having your brakes serviced regularly will prevent the need of replacing the whole brake system with expensive break parts, like the disc and pads prematurely. If the vibration takes place during braking cases when the anti-lock brakes aren’t engaged, then it’s an indication of warped rotors. Severe braking for prolonged periods of time, such as when towing or when driving down a steep mountain is what is causes warped rotors. These conditions create tremendous amounts of friction, heating the rotors and making them to warp. If you must drive under these conditions, ensure you stop periodically to allow the brakes to cool off. Another telltale sign is when you notice your clicking sound when you apply the brakes. All vehicle are fitted with a device that prevent brake pads from rattling upon the depression of brakes, this is a good sign that it’s time to have your old or worn out brake pads replaced with brand new ones. If you are a vehicle owner who is adept at making repairs yourself, there are also other visual indicators that show your current brakes needs replacement. Severely worn out brake pads often leave deep and circular groove in the rotor. These grooves are also referred to as the “scores”. They look exactly the same as the marks found on a record. If the grooves can be seen on rotors, it may be necessary that you also replace the brake pads. In addition, if the grooves appear particularly deep, you should also change the rotors. At times, you vehicle may behave as if it has a mind of its own. It may behave as if it wants to turn left or right while y you are braking or even driving. If you notice this, you should take your car to the mechanic to be checked because this could be a sign of faulty braking system. The stuck caliper may be the cause of this pulling. Since such cases would lead to friction only on a single wheel and not the other three, you vehicle may pull to that side where caliper is stuck. 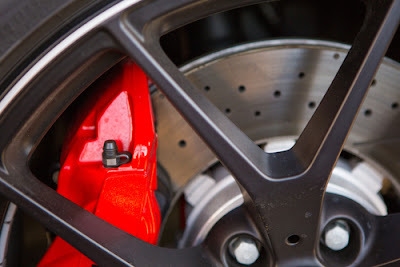 The other two cases that may make the vehicle to pull are the uneven brake pads, which applies different amounts of pressure to different tires or the collapsed brake hose that makes the calipers to move unevenly especially when brakes are applied. However, pulling does not always indicate that your brakes need replacement. Pulling could also occur as a result of poor alignment, worn out tires, unevenly inflated tires or even a problem with the car’s suspension. This is the reason why, if your vehicle starts to pull, you should take it to the nearest mechanic for a complete workup. 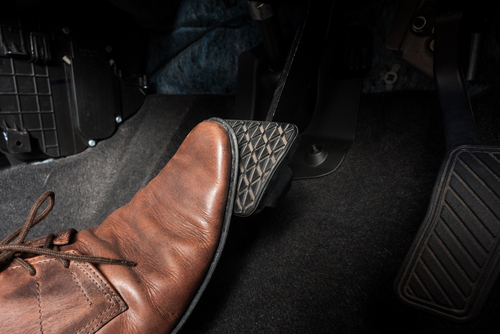 If your brake pedal pulsates when you press on it using your foot, this is often an indication that you need new brake pads. The term “pulsating brakes” refers to the vibration of brake, or constant grabbing whenever you attempt to apply the brakes. Typically, pulsating brakes are brought about by brake pads that are worn out or warped brake pads due to the heat. In cases of pulsating brakes, at times brake pads are re-machined to correct this problem. However, if your current pads are unable to be re-machined, then you should have them replaced with new pads. 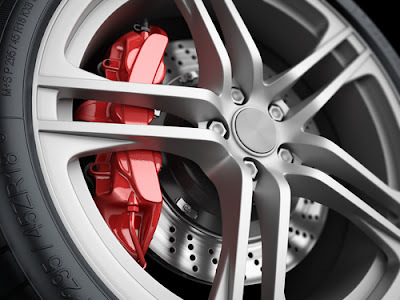 Maintaining your brakes is among the most important safety features for all vehicle owners. It’s also critical to your car’s upkeep for the long term ownership. Unfortunately, the maintenance of brake system is normally overlooked by many vehicle owners. Maintaining and replacing your vehicle’s braking system can help you in preventing expensive repairs over time, and will also keep your vehicle in the best possible form to prevent collision. To be able to maintain your vehicle’s barking system, you need to replace your brakes as soon as you start noticing the above tale tell signs. Generally, the more you drive your car, the more wear on your brakes and the shorter the lifespan of your brakes. When Do You Need a Wheel Alignment? Most of us do not realize the significance of car wheel alignment. We all car owners feel nothing much impacts the wheels of our car and ignore them unless and until we have a flat tire in the middle of the road. However, taking your car for a regular Wheel Alignment Service is extremely important. Wheel alignment is a process wherein the wheels of your car are balanced in a particular setting that they are perpendicular to the road and parallel to one another. There are many benefits of having the wheels of your car aligned. The major benefit is that you save a lot on fuel. If you ignore and avoid wheel alignment, there will be more pressure on the rubber of tires due to more resistance to the road surface. The tires will wear out faster and you will need to replace them. So, proper wheel alignment on regular basis can help you save on replacement cost of new tires. Most of us assume wear and tear of tires is a manufacturing defect, which is not true. This is due to lack of maintenance which is not manufacturers fault. Your life is at risk when you are driving a car with faulty wheel alignment. It is difficult to drive on wet roads during monsoons with perfectly aligned wheels. So, you can imagine how risky it is to drive on such roads with the wheels not aligned. You can meet with an accident and hurt yourself as well as others on the road. Safety is of prime importance. 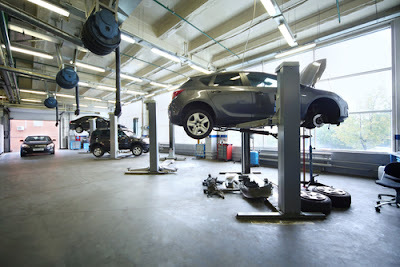 Therefore, all car owners must get the wheels of their car aligned regularly. Car owners need to ensure that their cars are serviced regularly for better performance and to enjoy a hassle free driving experience. Wheel alignment is one of the most important parts of car maintenance. However, not many car owners understand the need and importance of proper wheel alignment. Wheel alignment is making sure that the wheels of the car are perpendicular to the road; also it makes sure that the wheels are parallel to one other. 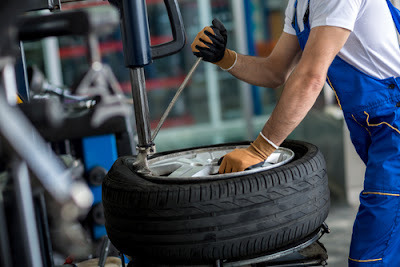 It is imperative that you get the wheels of your car checked every time it goes for service and get the wheel alignment service at least once in every 6 months. Listed below are few reasons why should one get the car wheels aligned on regular basis. When the wheels of your car are not aligned, you are dragging one or more of the tires while the others go straight. This is when your car moves towards one side or the other. This results in burning more fuel than required and affects the mileage of your vehicle. Your car can perform at its best and give you better mileage if the wheels are aligned. Most of us think that the warranty for the wheels will apply irrespective of the wear and tear. However, most warranties apply to the quality of wheels. No warranty is extended or applies if the tires are not maintained well or are kept in good condition. Worn out tires due to poor wheel alignment is not a manufacturers defect and hence not covered under warranty. This is why it is advisable to keep a check on the car wheel alignment to avail warranty benefits. 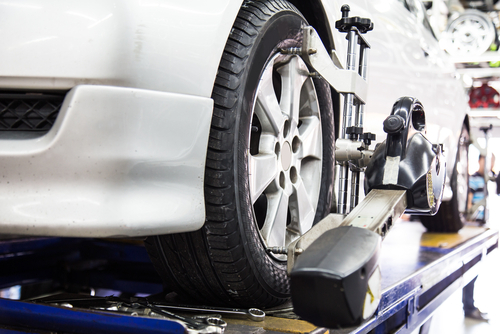 Poor wheel alignment can cause damage to brakes, stirring system and suspension of your car. If the wheels are not aligned, you will observe that the brake shaft is not working properly; the car is pulling towards one side and notice an undue strain on the stirring system. With proper wheel alignment service, you will be able to enjoy driving and you will get the best performance out of your vehicle. Proper car wheel alignment helps you save you money and gives you better peace of mind. Leading car servicing companies offer wheel alignment service at affordable prices. So, book a service and get your car wheel alignment checked right away! When And Where Should You Get The Wheel Alignment Service? Whenever you notice that the steering of your car is pointing straight but your car is pulling towards left or right. Another indicator is your tires, if you see that any one of your tires is worn out more than the other. You should also get your wheels aligned when you have hit something on the road. 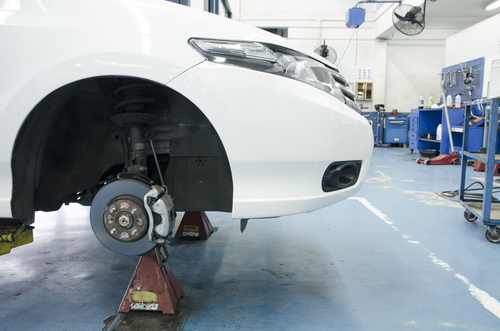 Manufacturers advise that the wheels of any car should be aligned at least once in six months. You can get the wheel alignment service done at various leading car service stations where you get your car serviced regularly. Car wheel alignment is essential for your safety. 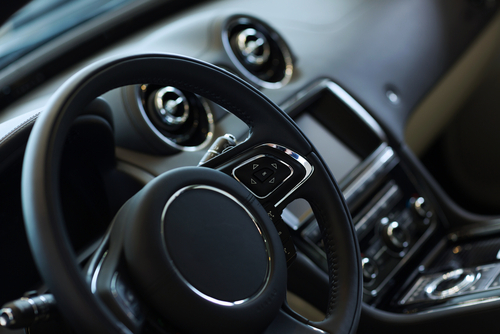 The resistance and pressure that your car faces when the wheels are not aligned properly could lead to a strain on the driver and a small mistake could result in a major accident. Always ensure you check the wheels before you hit the road and if you aren't sure it's best to call in the experts who will look into the issue and get it rectified before it leads to any problems. There are a number of car service centers who offer pick up and drop facilities for a wheel alignment service. Have you ever imagined what would happen, if one fine morning your car engine does not start? And you have to reach your workplace within 15 mins, and there is no way of doing it without your car! Though you can book a cab, the cab may take up your 15 mins just to arrive at your doorstep. 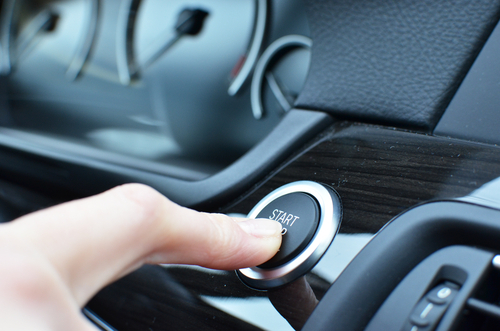 Now, if you have left your lights, radio or some other electrical parts switched on, then you very well know the reason why your car is not starting. Yes! The battery is dead, and all you need in that situation is a rescue car, whose battery you can use to jumpstart your car. And, obviously you need the jumper cable. 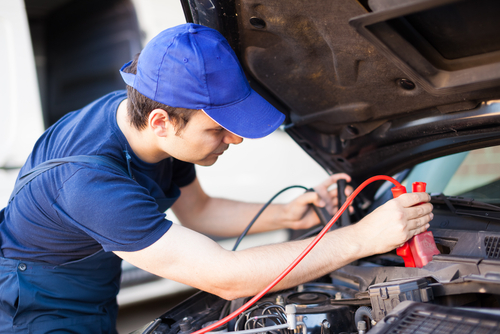 While using the jumper cable, we should always be careful that, the battery of the car is not leaking acid or cracked. But, there may be other reasons that your car isn’t starting. Cars may have different set of characteristics and sometimes it may be hard to detect the reason for why your car engine is not starting. 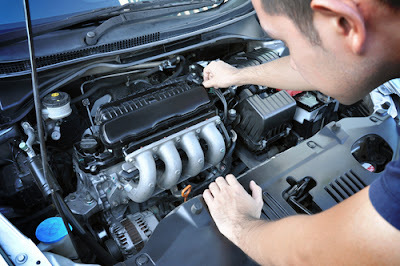 Some common circumstances, where your car would not start and the remedies that you can try to make your car run again. When you turn the ignition, the car remains silent- The first thing which we must check in these case, is the battery terminal. 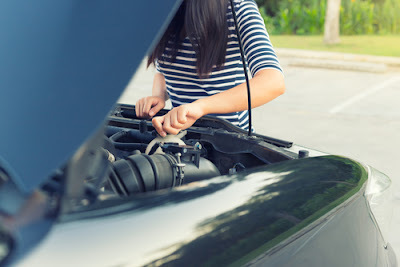 If the battery terminal looks rusted, then forcing the connector and terminal post, together, with the screwdriver and then twisting and lodging it firmly may start the car. If this process starts the car, maybe there is a need to replace the cables. Cleaning the cable regularly may also avoid this type of problems. Battery, like every other thing, is subject to wear and tear, and hence should regularly be kept in check. Precautions such as, Disconnecting the battery whenever working on it, and not working with a cigarette in mouth, or keeping any flammable articles near to the battery when working. The car makes a ticking noise and then won’t start- The tick or click sound while starting the engine, may indicate a dead battery. If you are sure, that your battery is not dead, then check the cables going in and out of the starter. These problems indicate either a dead battery that is the battery ran out of juice or the problem may be in the starter. The starter is a small electrical motor, that draws the necessary current for starting the engine from the battery and hence starts the engine. Sometimes it can be the connection, but at other times, you may need to replace the starter. Jump starting the battery may or may not work for the starter. The car activates but it would not start- The battery is powering on, but the car is not starting. This problem happens when the engine is not getting the fuel supply and hence can’t start. The first thing you need to do, in this case, is check the fuel supply to the engine. If your car can’t pump gas, to fuel the engine, it would not start. This problem can happen due to the wear and tear in the fuel lines. The pressure, which helps the car pump gas, may lack due to the wear and tear of the fuel lines. If there is a blockage in fuel lines, then also these problems may occur. The primary reason for the damage of the fuel pump and its subsidiaries, can be, running the car on dry fuel tank. Running the car on dry fuel tank, may age the fuel pump very fast. Denial of timely maintenance, such as changing the fuel filter every 2 years, may also lead to premature failure of fuel pump. The symptoms that your fuel pump failing is, jerking at high speed, low mileage rate. The Spark Plug Failure- You have checked the battery, the starter and the fuel lines too, but still your car is not starting. The problem can be in the spark plugs. Starting of the engine depends on another factor, the spark plugs. Let’s say, the car has pumped the gas to fuel the engine, the next important thing is to ignite the compressed fuel mixture. The compressed fuel mixture is ignited by the spark plugs. Most of the times, due to the constant ignition with the fuel mixture, the spark plugs get dirty, and malfunction. Sometimes, it also gets overheated, due to the high ignition temperature. Mechanical damage is also very common in spark plugs, due to the constant wear and tear. Fortunately, spark plugs are easy to replace and inexpensive. But, most of the problems of spark plug can actually be solved by just cleaning the plug with a dry cloth. Weather Conditions- Sometimes, weather conditions also affect the performance of the car and even can stop the car from starting. 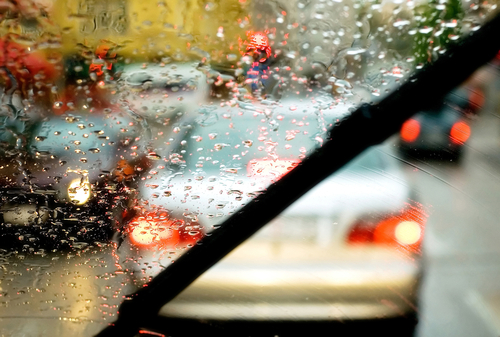 If the car isn’t starting in a rainy day, then the possible chances are dampness. If there is moisture under the distributor cap, then the only remedy is to clear the moisture. You can buy a mechanic’s solvent from a service station, which they use to clean car parts. Buying a canned aerosol also works. Now, carefully, turn the distributor cap upside down, and pour some solvent or aerosol in it, and then pouring it out. After pouring the solution out, clean the distributor cap with a clean dry rug. This may solve the problem of dampening. The car can also not start on cold mornings, for the simple reason of cold engine, and the spark plug cannot ignite it. Human Errors- Human errors may also be a dominating factor when your engines don’t start. Sometimes, in the busiest moment, our minds become dull, and we make mistakes which we will not make in normal circumstances. Like, maybe when we are busy, we forget to put gas in the car. Silly things like this, can also make the car not start in the busiest moment. There may be other reasons as to why, your car is not starting, but these 6 reasons can be predominant as to why your car engine isn’t starting. These problems can easily be solved, with no expenditure or minimum expenditure. Happy Driving! You cannot gainsay the importance of windshield wipers. 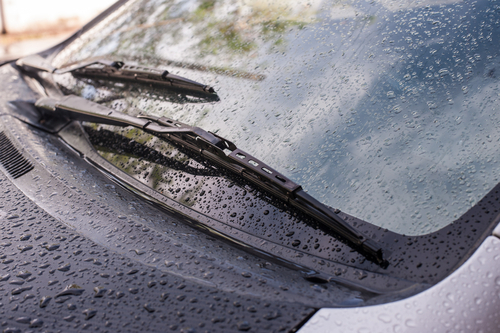 Properly working windshield wipers can ensure the safety of a car’s occupants. Conversely, faulty windshield wipers and blades make it difficult for any motorist to see well during heavy precipitation, thus, making the car prone to an accident on the road. It is of supreme importance that a person learns about windshield wiper replacement so that they can be able to discern the tell-tale signs that the windshield wipers are defective and may need to be replaced. The climate and the elements of weather that your windshield wipers are exposed to are the biggest contributors to wear and tear of the wiper blades of your car. During winter, the windshield wipers work overtime trying so hard to combat snow and ice. The harder the windshield wipers work to combat snow and ice, the faster they deteriorate. While you can mitigate these effects by installing high-quality windshield blades, you cannot completely stave off the effects of snow and ice on your windshield wipers. No one is able to control the extremely cold temperatures that make squeegee to be hard and brittle, and to eventually crack. Furthermore, the grit and salt that is often used to melt ice during extremely cold seasons can also make the rubber blades to wear out more rapidly. Therefore, if you reside in cold and snowy climates, then you will need to replace the windshield wipers at least once a year. People that live in the areas that receive a lot of snow and rain often use their windshield wipers more than those who do not live in such climates; as such, the windshield wipers wear out faster. Equally, heat and sunlight have an adverse effect on windshield wipers. They are harmful to the wiper blade’s rubber. Warm temperatures are known to cause the wiper squeegee to warp and crack faster. This effect is more pronounced in a dryer climate. To slow down the deterioration due to inclement water, it is prudent you park under structures if you can. Your car’s exhaust fumes and oils adversely affect your car wiper’s squeegee. The chemicals in the oil and exhaust fume cause the windshield rubber to break down and deteriorate. 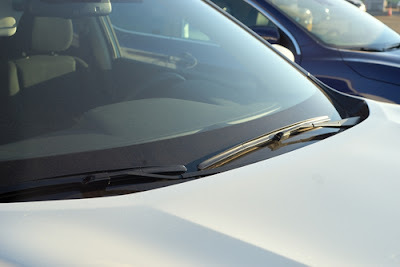 Equally, dirt and grime emanating from the roads can as well wear down the cutting edge of the windshield wiper blades. To prevent the deterioration due to the car exhaust fumes, oil and dirt, you will need to diligently and regularly clean up your car, the windshield, the windshield wiper blades and the windshield wiper. When you stop at a gas station, remove built up dirt and oils from your windshield wipers. The essence of keeping the windshield clean also is to prevent the wiper blades from running over a rough surface. You can also inadvertently contribute to the deterioration of your windshield wipers by either flipping on the wipers when the car’s windshield is dry, or by turning on wiper blades that are stuck in the windshield’s ice. Flipping on the wipers will cause scratches on the windshield as well as wear down the blade because it runs into unyielding surface. Turning on iced blades, on the other hand, can tear off bits of squeegee or crack the arms. Other way car owners can demonstrate a carelessness that will force him to replace the windshield blades very often is if they choose a wrong windshield wiper fluid for their car. Some windshield wiper fluids have chemicals that exacerbate the deterioration of the wiper rubber. To prevent this, you will need to repair any scratches or nicks in the windshield quickly. You should also take care that the windshield is completely defrosted and also clear of ice before you turn on the windshield wipers. Usually, your car’s windscreen washers working together with the wiper blades can remove any unwanted substances from the windscreen and wipers. But that is not always the case. Over time, some corrosive substances will damage the wiper blades permanently. This will cause the wiper blades to leave marks and streaks consistently. If the wiper blades are unable to lift enough water from the windscreen during a downpour, then that is a poignant sign that they should be replaced. Weak and worn out wiper blades make a juddering sound as the window wipers screeches across the windscreen. This is a sign that the wiper blades need to be replaced. You should replace the wiper blades if the wind can lift them off the windscreen even when you are driving at a high speed. That means that the wiper blades do not fit well. If the wiper blades by any chance look worse than they normally look, then that could be a telltale sign that the wiper blades need to be urgently replaced. How often you should replace your windshield wiper blades essentially boils down to how much you use the blades, where you live and the condition of the windshield. The hotter the weather is, the dryer the wiper blades rubber gets. And if it is a cold season, it depends with if you use your wipers to clean ice off of the windshield. And, it does not matter the kind of wiper blade rubber, wipers when exposed to the elements of weather will definitely wear out over time. To keep your car wipers in perfect shape you will have to clean them regularly. And if the blade is malfunctioning due to just dirt or grime, then just use an alcohol swab to clean the blade’s edges. When you get any problem in your car, then sometime you may need to replace some of the part in your vehicle. When people get the requirement of parts replacement, then a lot of people prefer to ditch the genuine vehicle parts, because they can get the compatible one in much lower cost. However, that is not a good practice and ideally you should to choose only genuine vehicle parts for a number of reasons. 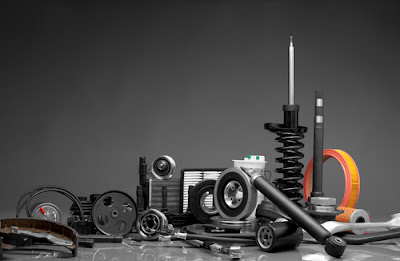 Here, I am sharing 11 reasons to use only genuine auto parts for any kind of replacement. Perfect fit: When you by genuine vehicle parts then you get a perfect fit for same in your vehicle. All the genuine vehicle parts are also known as OEM which is the short form of original equipment manufacturing. That means this particular product or part comes from the actual manufacturer and they made the same in the same factory with same process as your previous part was. That also means, you are going to have no complication or trouble in its fitting and you will get the perfect fit for same. Better quality: Better quality is another benefit that you would have with genuine vehicle parts. When you will buy genuine parts, then you will always get the best quality as it comes from the company. Each and every company need to provide you the best quality parts to maintain their reputation. So, this is certain that you will not have any kind of complication in your products and you will get products that are of best quality. You cannot have this kind of liberty in case of compatible parts. Insurance: In case of accident many insurance companies may ask you to use compatible parts because it is cheaper. They may claim you will have to bear the extra cost for same. If they claim this, then also it is advised that you do not care about the extra cost and you get the genuine parts. When you will choose the genuine parts, then you will get next insurance coverage according to your genuine parts else claim value of your vehicle will reduce due to lower cost. Warranty: Many vehicle manufacturers won’t offer you any kind of warranty if you choose non genuine vehicle parts in your vehicle. They can claim that you got it repaired with non-qualified people and you violated the policy for same. As a result of that you may end up loosing your warranty for same. However, this limitation or trouble is not going to hunt you if you will use OEM and they can’t leave the blame on you. Also, genuine vehicle parts will come with warranty, which is not the case for most of the compatible vehicle parts. Last longer: Since, you get original products that are fit with your vehicle, so this is certain you will have longer life with it. Also, the material used by companies in OEM products is always the best quality and that is also a key point that can help you get longer life in your product. So, if you are looking durability in your spare parts, then you should trust only on the genuine parts instead of compatible or non-branded one. Poor results: Poor result is another thing that can restrict you not to use the compatible vehicle parts. Since, a compatible part will not have any kind of bonding with your car, so chances are there it will reduce the life of your vehicle. Also, it will reduce the overall life or your vehicle in a very negative manner. Thus it is safe to say that you will have poor result with it. Overall cost is low: If we talk about the cost, then basic cost of the genuine vehicle parts is high, but many times you may need to pay extra money for the installation part. However, this limitation or trouble might not be there with the OEM part as company will do the installation work for free. Other than this, you will also get warranty on genuine parts which might not be the case with non-genuine parts. So, if we talk about the overall cost, then in total you may need to pay less money for the genuine vehicle parts instead of the compatible one. No defectiveness: In your non genuine vehicle parts, you will never get assurance about the quality of products and sometime you can have some defects also in it. However, this issue or complication is not there with OEM. You get only those parts that are company approved and fully tested. That means you are not going to have any kind of defectiveness in it. That is an added advantage of this system that you might not get with compatible parts. Easy to get: Finding non genuine vehicle parts could be a tough thing for many people. First of all, you will need to compare various manufacturers and then you will have to see if it works well with it or not. However, this limitation goes away if you are using genuine replacement parts because you can have it just against the vehicle name, and you will not have to worry about the quality or brand as well. Longer vehicle life: When you use the genuine vehicle parts for your automotive vehicle, then you always increase the life expectancy of your vehicle as well. If you are suing genuine parts, then you will not have any reason to worry for its life as it will automatically increase the life expectancy of your vehicle. So, if you are planning to have this result, then it is advised that you choose an option accordingly. Freedom from tension: If you are using genuine vehicle parts, then you will not have any worries for the parts or its quality. Nor you will have any tension that your vehicle can go down at any unwanted place. This freedom from all kind of tension is another reason that explain why you should choose only genuine parts for your vehicle.